The 2016 USCA Nationals are being held in Northfield, MA. This location provides plenty of opportunity for things to do in addition to racing. The race headquarters is the Northfield Mountain Recreational and Environmental Center, which is situated along the Connecticut River. This picturesque setting provides the paddlers with a deep-water course and the spectators with a beautiful location to watch the race action. 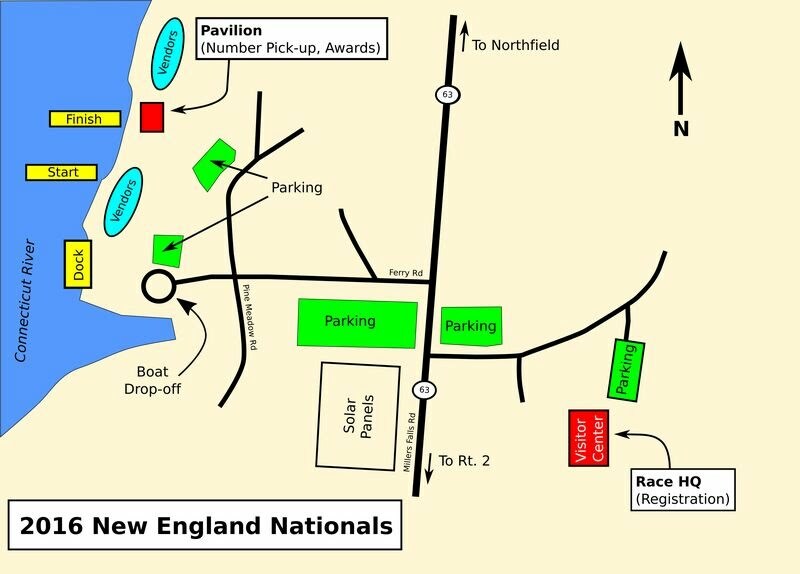 To get to Race HQ, where you can register, use 99 Millers Falls Road, Northfield, MA. Once you arrive in Northfield, the following map can help you find where everything is located.